It amazes me that more airport lounges don't offer nap rooms or sleeping rooms. Even if you had to pay something to reserve one, I'd happily do so, since traveling is exhausting, and the last thing I usually want to do between flights is to sit around somewhere. 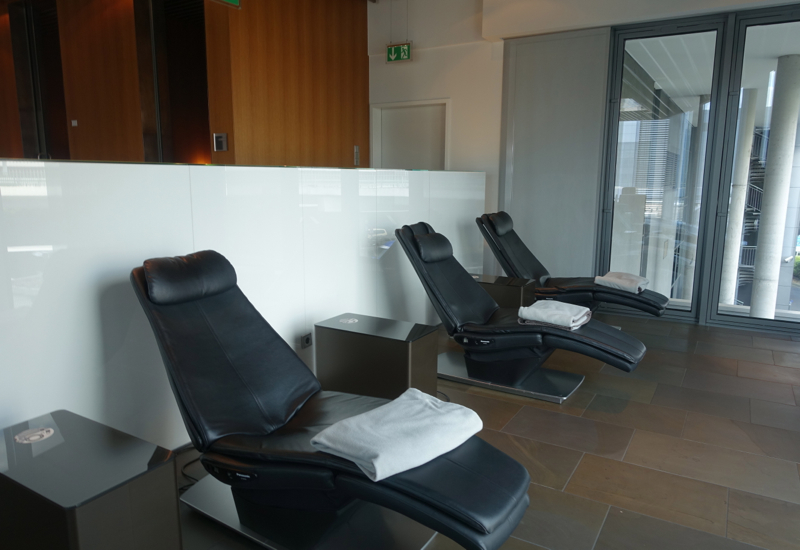 Lufthansa, to its credit, recognizes this, at least for its First Class Terminal in Frankfurt, which offers two sleeping rooms, on a first come, first served basis. 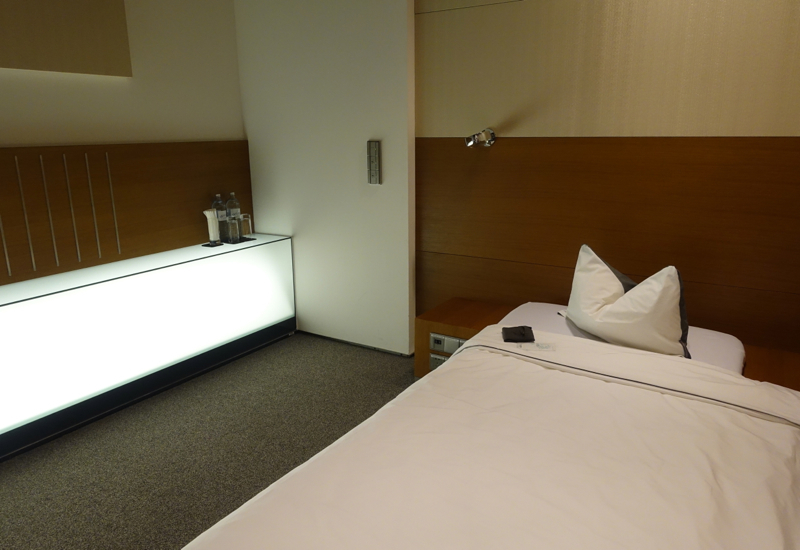 Best of all, the room is truly completely dark when you turn out the lights. Many airport lounges are incredibly crowded and can feel nearly as stressful as being at the gate area in terms of vying for seating. Not at the Lufthansa First Class Terminal, which is its own separate building and is rarely crowded, thanks to its exclusivity. You do have to be flying Lufthansa First Class same day (either departing on a Lufthansa First Class flight from Frankfurt or somewhere else that day, or arriving in Lufthansa First Class and connecting onward to another flight, as we were). It was incredibly convenient to not have to worry about leaving enough time to get to our gate. Why? Because as a guest in the Lufthansa First Class Terminal, you're driven to your plane in a Mercedes, either a car or (in our vase, since we were with two other passengers) a Mercedes van. You won't miss your flight, since they'll come find you, wherever you are in the lounge. 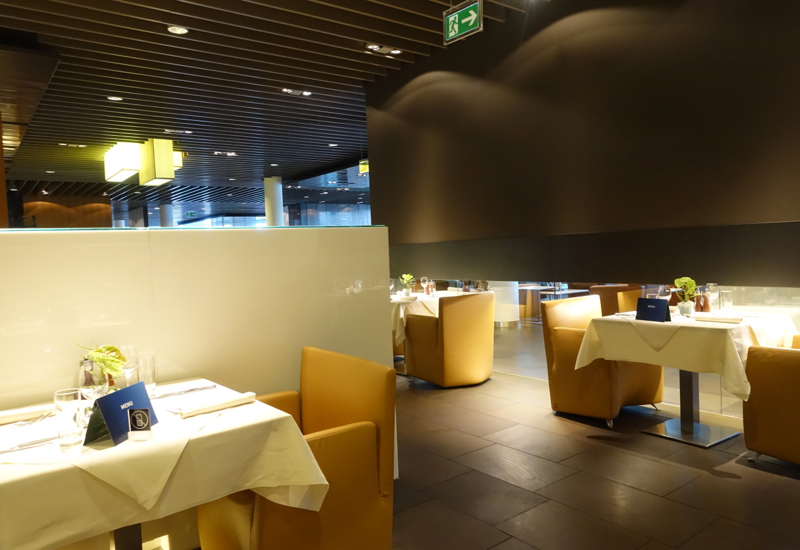 Sure, there are several menu items you can have made to order at the Lufthansa First Class Terminal dining room. 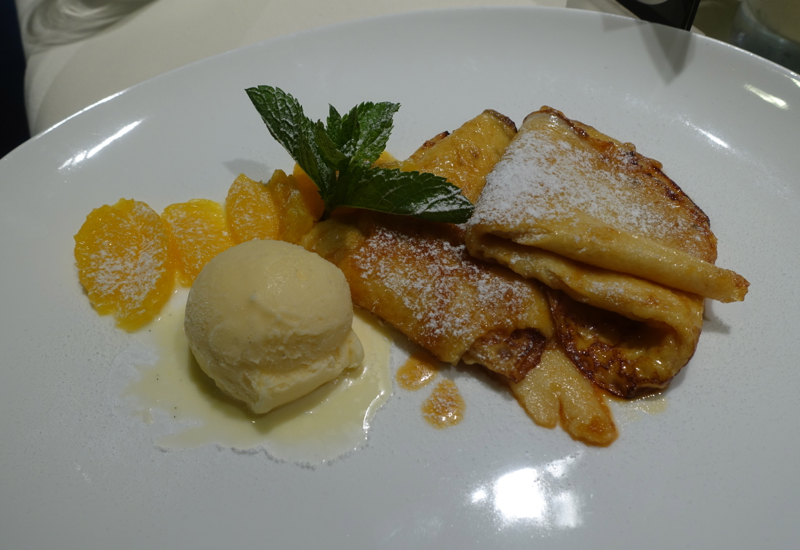 But I was especially taken with the Crepes Suzette on offer, which the chef was happy to make without the Grand Marnier since I wanted to share them with my son. Hot crepes with orange sauce and a scoop of refreshing orange sorbet. I can't promise these will be on the menu during your visit, since it seemed to be in honor of the UEFA European Championship currently being held in France, but I'd ask the chefs to see if they can make some kind of crepes, even if off- menu. While the kids' play room is targeted toward kids younger than my son, as a parent, I think it's wonderful that a first class lounge offers an inviting play space for parents traveling with their kids. 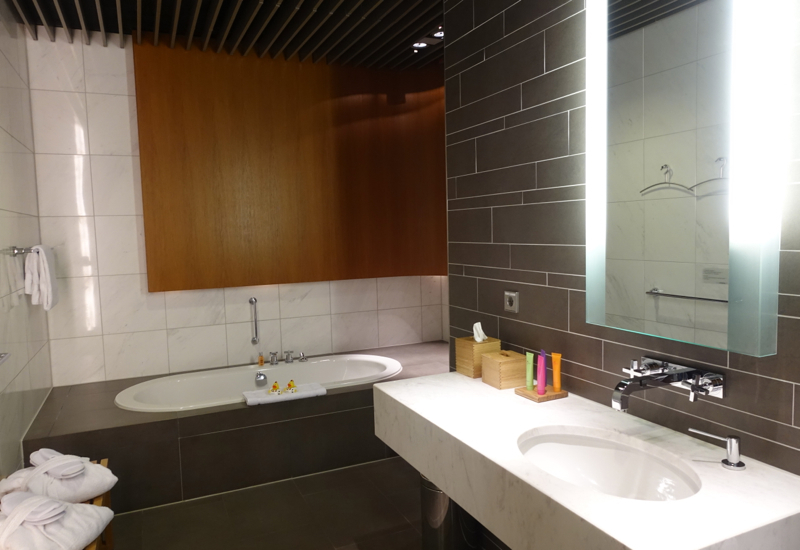 Similar to the Four Seasons, it's a recognition that many business people who stay in luxury hotels and travel first class for work also do so with their family; it's not as if they suddenly are going to travel economy or stay at a 4-star hotel. There was even a crib there, so a baby could be put down for a nap. 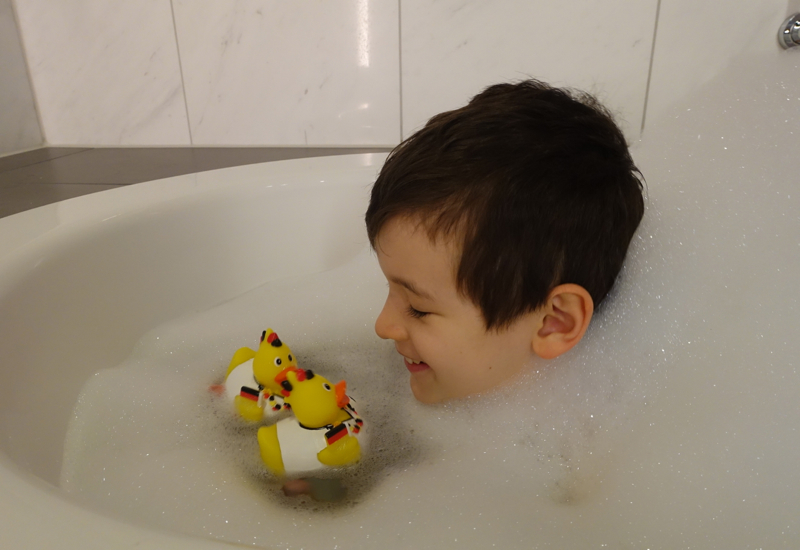 What are your favorite things about the Lufthansa First Class Terminal in Frankfurt?